Like almost no other genre, historical landscape painting with its formal visual decisions has until today determined the concept of the landscape in various disciplines, in literature, geography, landscape planning, or the more recent environmental sciences. How do contemporary artists engage with this subject, and how can art respond to today’s industrial and postindustrial landscapes? affected population. 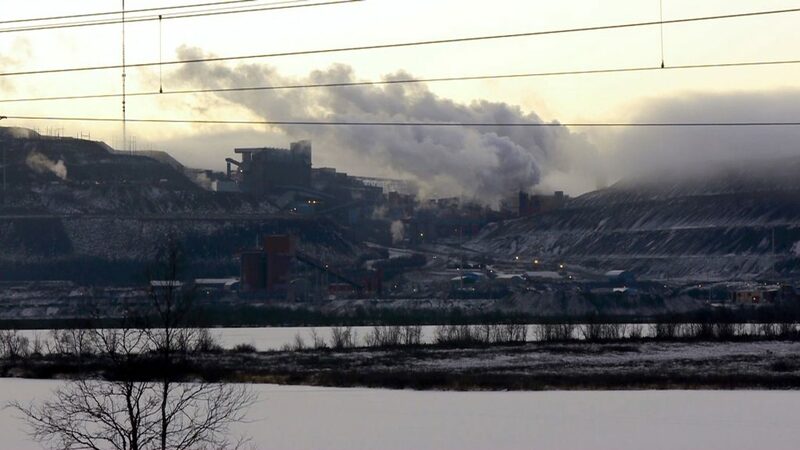 Such questions link the iron-ore region of Kiruna with numerous still active or now inoperative industrial landscapes worldwide, including the brown coal mining districts in Lusatia that have been controversially debated since the 1970s. minorities—in this case the Sorbs in Lusatia. Kim Einarsson (independant curator) and Brita Täljedal (Bildmuseet Umeå). With the kind support of the Gällivare Museet (Gällivare), thato borrowed several works from the miner´s strike art collection for the presentation in the work of Ingela Johansson. Since 2010, Klara Hobza has been scuba-diving through Europe. Her plan is to scuba-dive through the Rhine starting from the North Sea, then through the Main-Danube Canal, from there through the Danube to the Black Sea. In 1996 a wolf was sighted for the first time since long in Saxony on the Military Training Area Upper Lusatia. Today, ten packs of wolves are living in Saxony. A search for traces. In cooperation with the Freundeskreis Kunsthaus Dresden. Please register at kunsthaus@dresden.de. Please travel there on your own; if possible, we can arrange car sharing. 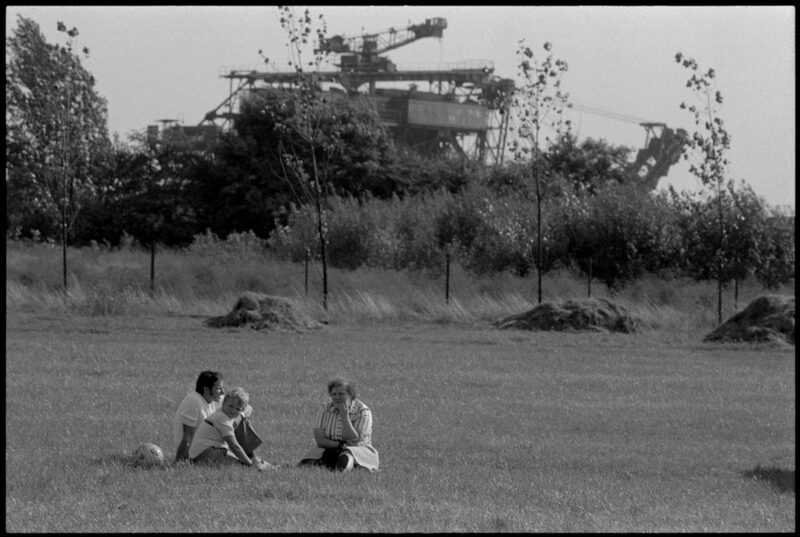 After the talk at 7 p.m. we will screen Die Schmerzen der Lausitz (1990, 58 min. ), part 3 of the Lusatia trilogy by Peter Rocha. Gartenstadt Marga, built from 1907 to 1915 as the workers’ colony of the mining company Ilse Bergbau AG, and the Senftenberger See, one of the largest artificial lakes in Germany, are our destinations. Until this day, historical landscape painting determines our conception of the landscape, be it in literature, geography, landscape planning, or the more recent environmental sciences. 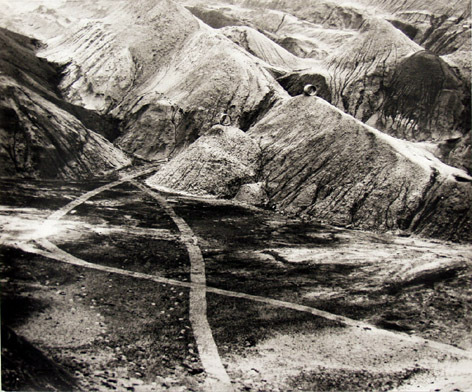 How do artists engage with post-mining landscapes today? The two-day symposium taking place in Welzow—with a joint tour of the active mine—and at Kunsthaus Dresden is dedicated to the relationship between art, (post-)industrial landscape, resources, and democracy. The tour of the mine with excursio – Bergbautourismus-Verein “Stadt Welzow” e. V. costs 17 euro per person. Please remember to wear weatherproof shoes and clothes. Please register at kunsthaus@dresden.de (until 03/01/2015).